A component which should never be missing in a water cooling system is this flow indicator. It is absolutely transparent, leaving modders with no limitations for setting up lighting effects! With its compact size, the flow indicator is fast and easy to install in any place. Both sides have conventional ¼” screw threads to which two connectors can be easily screwed in. 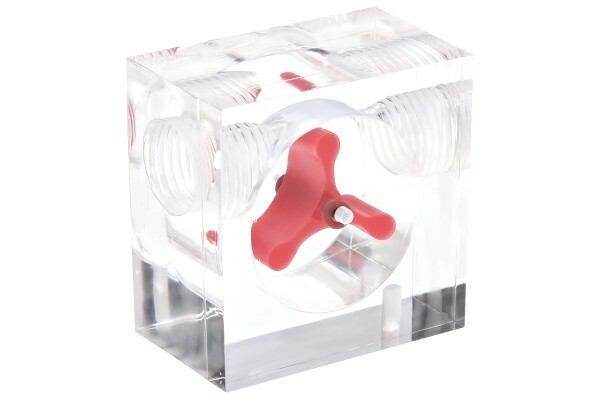 Since the flow indicator is made entirely of plexiglass, the red fan is always in view! The special shape of the fan means that flow rate is never slowed.